In drain and sewer cleaning it’s all about FLOW! As a sewer cleaning professional you obviously know that already; but does the machine you operate every day provide you with the flow required to do the job? It’s a dirty job, so we want you to have the best equipment available to do it! At RIONED we listen to our customers and then take action. Based on recent surveys and interviews we recognize that an augmented number of litres per minute is more beneficial than simply increasing the pressure. You want more water and more power - but you still need a machine that’s lean and mean! 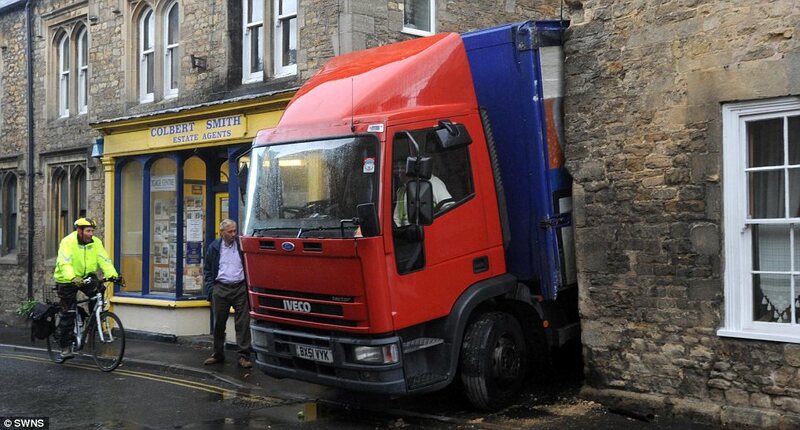 (Many truck drivers find themselves in tricky situations, like this story from Daily Mail clearly shows!) Our compact but powerful solutions mean no heavy hoses, no monster trucks that get you stuck, and a package of professional machinery and accessories that truly help you get the job done! Based on this input we have put a lot of effort into improving our already effective drain and sewer cleaning machines to maximize performance and to deliver it in a compact but powerful, lightweight high pressure drain cleaning machine. The result was co-engineering a revolutionary new sewer cleaning hose with one of the major hose producers in Western Europe, Parker Hannifin. We proudly present the RIONED MAXFLOW, a 1/2” sewer cleaning hose with no less than 30% improved water delivery performance than a regular DN12 hose! We offer you a professional hose, highly flexible, lightweight and suitable for working pressure of up to 360 bar/burst pressure up to 900 bar. Plus it is incredibly abrasion resistant because of the special rubber compound specifically engineered for your application! Please contact your Rioned representative to find out how the RIONED MAXFLOW can help you to get the best out of your machine! Available at lengths of 50M, 60M, 80M, 100M, 120M, and soon to be available at 140M.